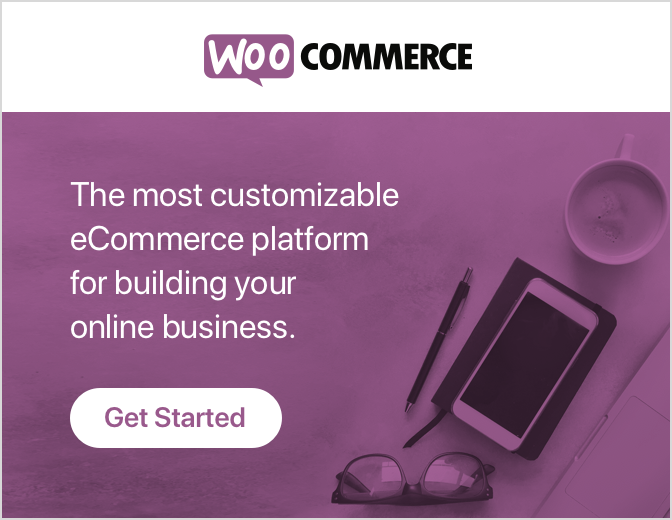 Planning to start your own WooCommerce store? Inventory management has never been so difficult. The difficulty comes while choosing the best WooCommerce Inventory Management plugin since there are numerous plugins available all serving the same purpose. Thus making it more confusing while deciding which one to prefer, when each one is providing a better service. However, the best inventory plugin for your wholesale and retail business is the one that meets all your requirements. And possibly one that you enjoy using the most. Rather it looks quite amazing to see how to manage inventory can be so simple, effective and efficient. Further, an inventory management system can help you manage your business’s inventory and stock items, keeping track of exactly where your assets are and what they’re worth. Continuously, you have just a few products, you know where you are purchasing it from. And also know who is buying it. Though these things are easy. But as your store grows, everything gets complex. Your product demand increases whereas your sole supplier are not able to meet that demands and you start looking for other suppliers. That all sums up as how one can manage to get the right inventory and stock at the right time, place, cost and quantity where the inventory management includes controlling, storage of inventory, overseeing the ordering inventory and controlling the amount of product for sale. Therefore, we have hand-picked some of the best and popular plugins which will definitely help you in WooCommerce stock management. Let’s look at how important these plugins are and in what aspects they can benefit you before going through them in detail. WooCommerce provides good flexibility to incorporate features that are not available out of the box. In some cases, you can find some excellent tools for managing inventory too. Let’s have a look at some of the areas where these solutions can make a positive difference. Coordinates everything from one place. You can adjust inventory from anywhere. Let’s talk about each plugins and tools and their features in detail. WooCommerce Stock Manager is one of a unique, popular, and a free inventory management plugin. Further, it allows you to manage stock for products and their variables on one screen without going to each product screen. Also, it gives you the power to efficiently manage products, customers, and orders. Thus, by using this tool you can manage stock, back order, stock status, sale price, regular price, weight and much more for each product and variation. Each product of Woocommerce Stock Manager can be filtered by Product ID, Product Name, and default sorting. However, this tool also permits you to export all stock data from your store into a CSV file. Along with it, you can also edit the CSV file as per your requirements and then import it back into your online store. Fast & easy retail POS. Free and Available in the WordPress repository. 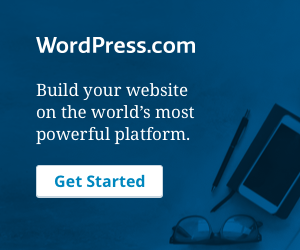 You can install it either by using the WordPress dashboard, uploading in WordPress dashboard or by using FTP. In the plugin dashboard, go to the Add New. Install and activate this WordPress plugin. Go to the Add New in the plugin dashboard. Click on ‘Install Now’ and activate the plugin in the plugin dashboard. Download and extract the woocommerce-stock-manager.zip directory to your computer. Upload this directory to the /wp-content/plugins/directory. Activate the plugin in the plugin directory. TradeGecko has integration with WooCommerce and many other similar platforms and is one of the most popular multichannel inventory management as well as an order management software. Furthermore, TradeGecko allows the users to balance their creativity and passion with business and operations, giving them the best of both the worlds. Continuously, TradeGecko automates stock adjustments, stock updates, and purchase orders for your store. Its inventory management software syncs your sale with multiple aspects of your store like the invoice, delivery, and stock level. This plugin also offers a mobile app for iPhone, iPad and Apple Watch that lets you manage your products and orders from anywhere and it’s free to all TradeGecko users. TradeGecko gives ample tools to launch your own wholesale business by creating a wholesale price list for your products. It manages to keep itself simple to deal with, even though the data dealing in the back end is quite complex. Hence, smooth integration with WooCommerce ensures that your focus stays right at the core of your online business. This helps you sell in multiple channels at the same time without any problems. Even you can integrate more than one WooCommerce store into a co-ordinated inventory system. The 14-day free trial also available. WooCommerce Rapid Stock Manager allows the user to update your stock inventory and variants sizes fastly while displaying everything on a single screen. With the help of this stock management, you can filter products by type,category, stock manage or stock status. Furthermore, Rapid Stock Manager helps you with the option to update the stock on your online store automatically while adjusting with the existing stock levels. Because of this, the customers won’t face any problem when they purchase a product. At the same time, you update the stock if required, then you can export stock reports to an excel file. The stock report detail is available with data on who edited the stock last and to what quantity. By using this tool, you can integrate stock around multiple warehouses and also print transfer receipt. Hence, you can purchase this tool with a regular license from CodeCanyon for $46. Smart Manager is the best WordPress plugin that provides the speed, ease, and power of an Excel-like spreadsheet. It is one of a unique and very popular WooCommerce inventory management tool from store apps. Smart Manager also helps the users in managing the e-commerce store. It acts as a battle test for success which works with large stores as well. Power Packed – 263+ features. Pro add-on for even easier management. Single site license – $149/year. Free version available in the WordPress repository. StorePeP is a handy tool when it comes to continuous store monitoring and management on the go. Further, this native Android app is a great companion for WooCommerce online store owners to keep the way of their store performance. However, StorePep helps you identify the areas of improvement on your site, and implement solutions instantly. Also, you can check the product details and update, stock, description, and price from the StorePeP mobile app. Thus, Real-time push notifications of this app will surely help you stay on top of things. With this tool, you can access some sales reports that give you great insights into multiple aspects of your store including inventory management. However, by using this tool, you can filter the sales by different time period- Today, Yesterday, Previous week, Previous month, Current month or a custom date of your choice. Get Real-time shipping rates from multiple carriers on your phone. Live tracking notification to your customers. Generate 100s of labels in a few clicks. Starter package (600 orders) – $9/month. Popular (3000 orders) – $29/month. Premium (6000 orders) – $49/month. Atum is also the best free inventory management tool for woocommerce. Further, it gives you full control on the WooCommerce stock. It is an advanced stock management tool for woocommerce. With the help of this plugin, the users can keep track of every item which they have in stock. Also, users can create purchase orders, setup locations, and suppliers. This free tool helps you to control all your products from one screen. It is all in one platform. Meanwhile, to say, atum inventory management plugin will take care of all your business needs. Quickly edit the product details. Complete location for hierarchy tracking. Export your full inventory into PDF or CSV. It takes the add-on pricing with small business in mind. Orderhive is another management inventory system that provides you end to end solutions to multichannel sellers without having a juggle between different system. It simply allows sellers to manage multiple channels from a single integrated backend system. Continuously, this is saas based software provides the most efficient filters and accurate data information on adding data. However, Orderhive is one of those inventory management tools that allow you to do all your inventory activities by scanning barcodes. So, you can install this plugin for a strong and happy business. Developed by a leading brand (openxcell). It has a free 15 days trial. Veeqo includes everything that a vendor needs for successful business. Further, Veeqo enables the business to become more efficient with the ability to manage everything from one platform. It is an advanced inventory management tool that keeps inventory perfectly synced across multiple warehouses. Veeqo creates the product kitt/bundles and keeps inventory balanced. With the help of veeqo, you can push your products up to Amazon and eBay at the click of a button, and enhance sales instantly. If you want to manage your stock at a higher level than veeqo is best for it. High Growth – 580 Euro/month. Provides custom pricing as well. Thus, Veeqo inventory management is a smart way to manage and grow your e-commerce business but a bit costly. Stitch is offered by Stitchlabs (Stitch Labs is an integrated, cloud-based inventory and order management solution that caters to mid-sized multi-channel retail brands) which is another good e-commerce inventory management tool to consider which syncs the inventory, order, and data across multiple sales channels, suppliers and fulfillment locations. It acts as one of a beneficial tool for many e-commerce companies which have one centralized location to view available inventory across those channels and that sell on multiple platforms. It allows the product to integrate with other eCommerce platforms like Amazon and eBay so that whenever a customer places an order on Amazon or eBay or say your Woocommerce site, all the orders get automatically sync to Stichlabs and keeps the orders in one location. The 24*7 support team available to solve your queries. It has zero integration, that works. Great inventory system for small business with large inventories. ‘Tag’ contacts and order with bits of critical information. If you need to track the finished goods as well as the list of raw materials, DAR inventory is a good option. DEAR will allow you to control sales, inventory, and shipping on multi-channels. DEAR is ideal for manufacturing companies with its manufacturing module, which helps you track the cost of raw materials and labor in the production of finished goods. Just as other inventory management systems like Stich, TradeGecko, and Orderhive, DEAR is a robust inventory management product. It allows businesses to create a plan, and track each phase of the purchasing processes The solution it provides reminds the user to reorder the stock in time to avoid the stock out situation. Since this software records the suppliers purchasing history along with product cost and inform the user after certain analysis to when to buy the next batch of products. Sale offline and sync orders when online. Provides 14 days of free trial. Annually – $2189 (free for 1 month). Omnichannel Inventory Management from Stitch Labs. WooCommerce Inventory Management from Finale Inventory. WooCommerce inventory management and order management from Orderhive. Managing an inventory is not an easy task it takes a lot that can give many problems to business owners. There is a huge difficulty when you have multiple sales and procurement channels. Therefore, we have discussed here some of the best inventory management tools that can help you to streamline your inventory in the way. Use the comment section given below to share your opinion regarding this blog, if you find it useful. Also, as well as share the blog with your peers. You are just on your way to getting more exposure. Get instant help from our WordPress Technical Support Experts as they will fix your issue without any wastage of your precious time. Dial +1-844-275-0975 (Toll-Free). We will be pleased to help you.